Woong remains my favorite fictional character to date, and when I found out his book won the Bronze Medal from the Moonbeam Children's Book Awards, I was more proud of him than myself. Flower Swallow tells Woong's story from the time a catastrophic flood swept him away from his family, through his attempt to survive as a street urchin in North Korea, to his quest for freedom and belonging that eventually lead him to his new home. Identity Theft is my first romantic suspense story and currently my only title set in Alaska. It recently won second place in the romance category from Christian Women Writers. For right now, Identity Theft is only available from the SMOKE AND MIRRORS box set (on sale for a limited time). Be on the lookout for a solo release in the future and make sure you've signed up for my newsletter if you want want to be notified when it's available. 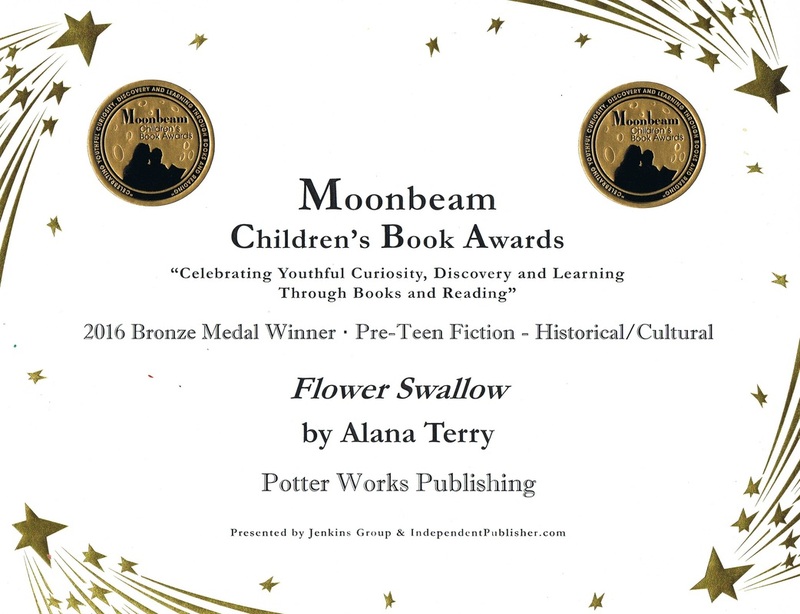 ﻿I'm thrilled to announce that The Beloved Daughter received the gold medal in the Christian Fiction category from Readers' Favorite. "Alana Terry’s passion for persecuted Christians can be felt within the story and she expertly awakens all those who may be tempted to turn a blind eye. The Beloved Daughter reminds us that if we aren’t willing to stand up for something, we will easily fall for anything." The Beloved Daughter was named a finalist in the IndieFab Awards, a contest to find the best independent books each year. 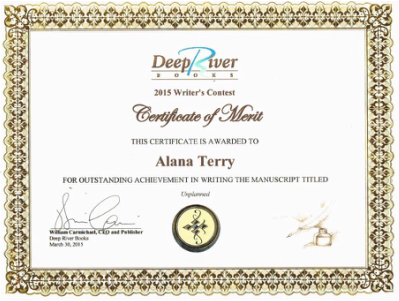 It was a real joy to be named alongside such talented indie authors!